Drake and Meek Mill perform “Dreams and Nightmares,” ending three-year beef. Diss songs and reference tracks made it hard for anyone to expect a reunion between the Drake and Meek Mill, but that’s exactly what happened after three years. 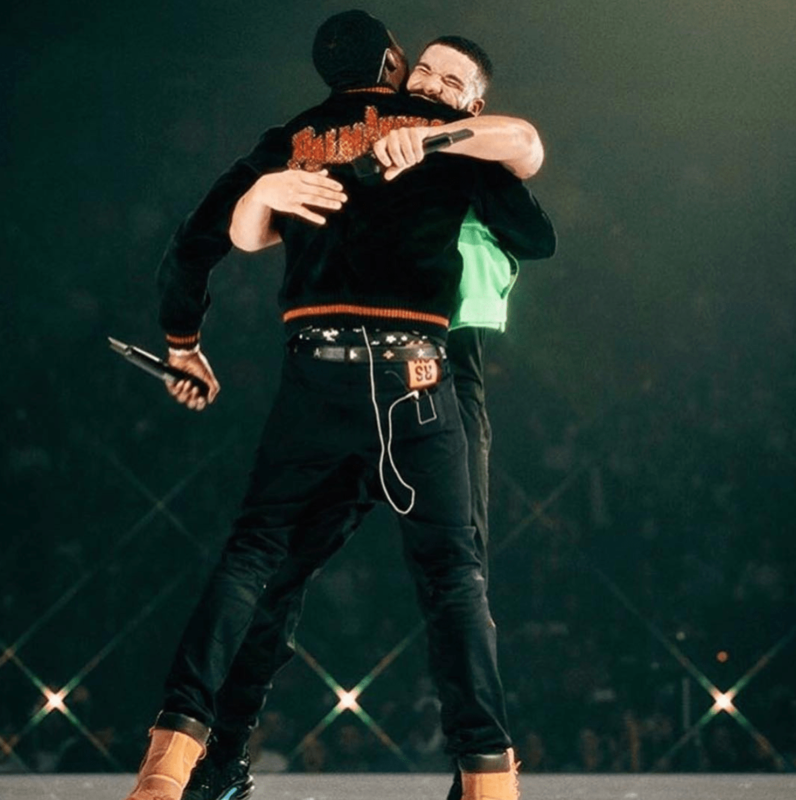 Drake brought Meek Mill out on stage to perform “Dreams and Nightmares” while on tour in Boston with the Three Migos. The two seem genuinely happy and excited to be reunited in the video that surfaced online. Many people have expressed similar emotions, such as comedian Kevin Hart who typed a heartfelt caption under a photo of Drake and Meek on his Instagram page. Meek Mill also shared a video from a fan showing his reaction. The fan talked about how happy he was the beef was over so that he could go back to supporting Drake. Fans got their first taste of a Drake and Meek Mill collaboration in 2012 with “Amen,” the lead single off Meek Mill’s album Dreams and Nightmares.The two artists came together again in 2015 on the track “R.I.C.O.,” but the duo would be short lived. Things went sideways when Meek took to Twitter and pointed out that Drake hadn’t posted or shown support toward his album. Meek claimed the lack of support stemmed from the fact that Drake didn’t write his verse on “R.I.C.O.” These allegations hurt the careers of both rappers. Tensions rose as the rappers dropped diss tracks toward each other. Lines like “Is that a world tour or your girl’s tour?”rang in the ears of many fans, and many people thought Meek Mill lost the beef. However, tides changed once Meek Mill released the “Running Through the 6 With My Woes” reference track, which confirmed his accusations of Drake having a ghost writer. Quentin Miller, the ghostwriter, became a trending topic. In a recent Nicki Minaj interview,Funk Flex expressed his disappointment with Drake during the beef. “I still respect his pen, but I had more respect for his pen before I heard his reference track,” Flex said. Hints of Nicki and Meek being back together have also begun to surface on the Internet, such as the photos to the left. 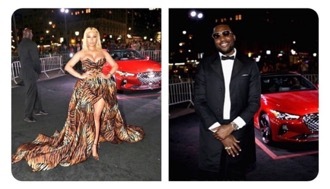 Meek posted a picture after the Bazaar Icons event saying it was “a vibe.” This was the New York Fashion Week event on Friday night where Nicki Minaj and Cardi B had an altercation. The comments under Meek Mill’s photo showed fans saying they saw him in the fight video standing next Nicki. This could all insinuate Nicki’s involvement in Drake and Meek reuniting so suddenly.